RVnGO is America's best marketplace to find RVs to rent in Washington. Find your RVnGO! The Space Needle is an architectural fascination and iconic image of Seattle. Erected at the 1962 World's Fair, this tower was the tallest structure west of the Mississippi at the time. It was a big accomplishment in engineering and industry. Guests can take an elevator to the viewing deck for an unparalleled perspective of the Seattle horizon. Mount Rainier, the Cascades, and Olympic mountains, as well as other visual delights can be seen from the highest point of the Space Needle. Built in 1907, The Pike Place Market is a vibrant community spot for hundreds of farmers, craftspeople, small businesses, and residents. This nine-acre historic district has fresh provisions direct from the sea (watch out for flying fish), produce, imported items, little shops offering exceptional treasures, clothing stores, toy shops, bookshops, pastry shops, bistros, and phenomenal restaurants. Have a ton of fun shopping and eating at the Pike Place Market. If you are traveling with the kids in your RV rental in Washington's capital city of Olympia, brake to visit the The Hands On Children's Museum! We know that your children will have an awesome time and make fabulous memories exploring and learning through fun interactive exhibits and programs. The center means to give stimulating hands-on science and craftsmanship training exercises concentrating on different themes like expressions, condition, sounds, ways of life, and that's only the tip of the iceberg. Adults can also get in on the action. The exhibition hall is open every day. Located in the city of Bothell only a couple of minutes from Seattle, Lake Pleasant Park is an incredible choice for a RV rental in Seattle, Washington. 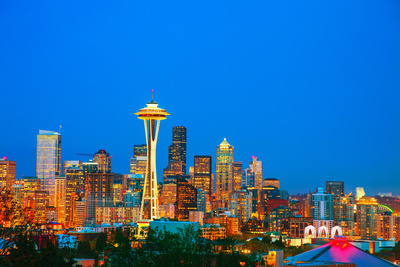 It is an excellent home base if you are wanting to visit Space Needle, Snoqualmie Falls, Pike Place Market, and different attractions in the region. It has a fully accessible cleared RV trailer hookup destinations with space for slideouts. Services and courtesies include fishing at Lake Pleasant, play areas, nature trails, rec halls, arranged exercises, outdoor activities, wi-fi access, restrooms and showers, laundry rooms, and self-serve RV wash. The Lake Pleasant RV Park is prepared to serve you anytime of the year. Just a couple of miles from the city of Tacoma, Gig Harbor RV Resort oozes a neighborly and laid-back environment. It is a family oriented campground ideal for a motor trailer rental in Washington. Accommodations include wi-fi, a swimming pool, rec centers, play areas, nature trails, horseshoes, satellite TV, RV supplies, restrooms and showers, and clothing office. You can stay at the Gig Harbor RV Resort throughout the year. Located in the town of Mead, outside of Spokane, Alderwood RV Express is close to the city yet it oozes an idyllic feel. It can suit different kinds of RV rentals. It has 80 accessible full hookup spots with space for slideouts. Services and amenities include heated pool, play area, structure, arranged exercises, outside activities, rec halls, digital TVs, wi-fi, basic supplies, RV stockpiling and supplies, restrooms and showers, and laundry rooms. Take day treks to the various attractions in the region from Alderwood RV Express, open for enjoyment all year long. Vegans are flocking to the National Lentil Festival, held mid-August in the city of Pullman. The yearly celebration started in 1989 and is a two-day event which includes various types of lentils cooked in numerous ways, activities for kids, or kids at heart, a Tour de Lentil bicycle ride, a Tase T. Lentil 5K fun run, a Tase T. Lentil mini golf competition, food merchants, cooking showings, a stupendous parade, and much more. Bring the whole family and appreciate the lentils or the festivity of it all! A yearly celebration with heaps of food, amusement, and activities, the Pig Out in the Park is a one-week occasion held at the Riverfront Park in Spokane each September. It began 28 years ago, Pig Out in the Park highlights 47 food vendors, 3 adult beverage gardens, and free concerts on 3 stages! Enjoy listening to popular music and $4 Bite specials between 3-5 pm and 9-10 pm daily at the Pig Out in the Park. From apples to exhibits, the State of Washington has is an appealing state for a fun and relaxing vacation. Look at the trailer rentals in Washington at RVnGO and enjoy your road trip!